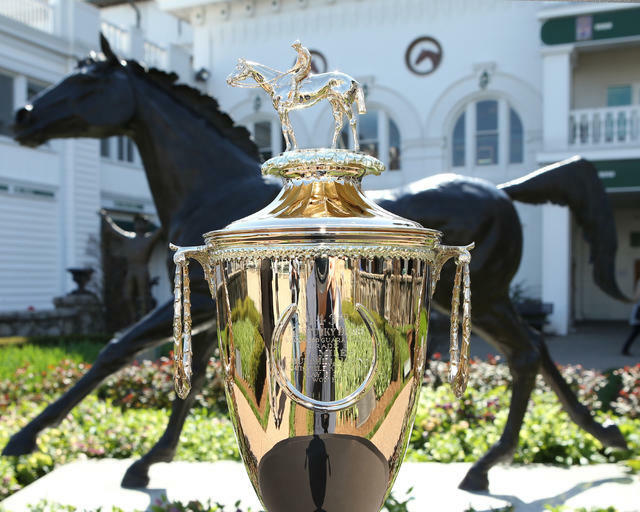 Kentucky Derby fans can also wager on the sire that will produce the winner of the 2018 Run for the Roses. Like the Kentucky Derby Future Wager, the sire wager features 23 individual sires of horses in this year’s crop of Kentucky Derby-age Thoroughbreds, along with an “all others” betting interest. The Kentucky Derby Sire Future Wager, which features $2 win and exacta wagering, will be offered concurrently with Pool 1 of the traditional Kentucky Derby Future Wager. Both betting pools open a four-day run on Thanksgiving Day and close Sunday at 6 p.m. (all times Eastern). Curlin, the 2007-08 Horse of the Year who has provided 11 winners from 115 juveniles in his sixth crop, is 8-1 on odds maker Mike Battaglia’s morning line odds, but “all other sires” is the 4-1 favorite. 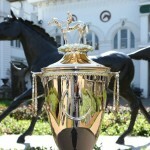 Bets can be placed at Churchill Downs Racetrack, TwinSpires.com and other online wagering outlets and satellite wagering centers across North America. Total betting on last year’s Kentucky Derby Sire Future Wager was $44,150 with $30,375 in Win bets $13,775 in Exacta combinations – a 26.3% increase from 2015. No scratches or refunds of wagers are permitted in the Kentucky Derby Sire Future Wager. The Nov. 23-26 period will be the only time the Kentucky Derby Sire Future Wager is offered.